This is a two day hands-on programming course on Amazon Web Services (AWS), to dive- deep into designing and developing scalable web applications on AWS infrastructure using services like S3, SQS, SNS, SDB, IAM and Elastic Beanstalk. The hands-on labs for this course start with developing sample web application, deploying it on AWS, and building on it to use the services being covered in this course (Knowledge of Java programming language is required). This course will also empower you to take the AWS Certified Developer exam – DVA-C00. You will receive a certification credential which is a logo badge and title that may be used in business cards and other collateral to show that you are AWS Certified. AWS provides cloud computing services that enable a business to build sophisticated and scalable applications. Therefore knowledge about these services and learning how to work with them on the Cloud is crucial for businesses and Professionals who are or will be working on the cloud. To attain a deep knowledge of AWS infrastructure, design & develop applications on AWS. To attain skills to clear the AWS Certified Developer Exam – DVA-C00. IT professionals who wants to learn to develop highly scalable, available, cost-efficient and failure tolerant systems on AWS. IT professionals who want Hands-on experience to develop applications for the cloud. Learn Best practices to develop applications for the cloud. 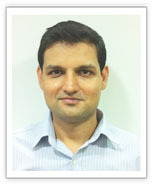 IT professionals who want to clear the AWS Certified Developer exam -DVA-C00. Should have attended AWS Level-2 course offered by CloudThat Technologies OR should have hands-on experience in S3, EC2, ELB, RDS, Auto-Scaling. Hands-on: Changing the web-application to use DynamoDB as the database layer. Hands-on: Changing the web-application to use S3 as the file storing layer, and integrating with DynamoDB. Hands-on: Adding IAM based authorization. Hands-on: Change the previous web-application to use SQS as part of the workflow process. Hands-on: Deploy the application developed using AWS Elastic Beanstalk. 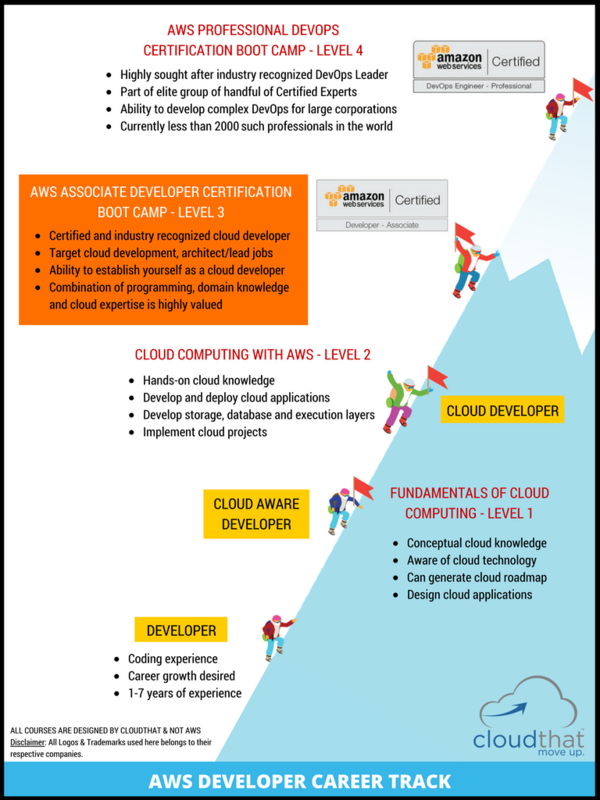 This course will also empower you to take the AWS Certified Developer exam - DVA-C00.